Past Belen teams have been led by guys like Guillermo Echarte, Elliot Clemente now at UF, and Lopez. This year's team has no distinct leader, but a very strong core of five guys. Their 1-5 Signs of a Belen Jesuit dynasty slowing down isn't likely. 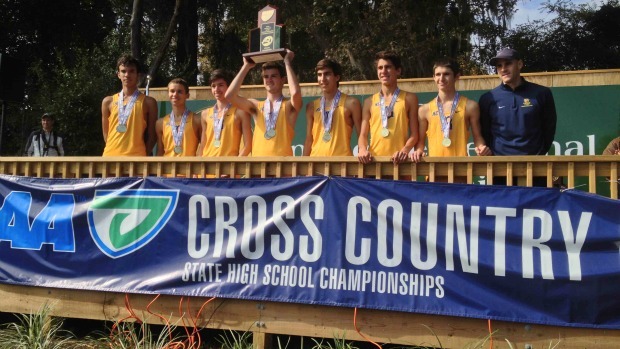 In 2012, the Wolverines captured their seventh state championship; the sixth in the last seven years and finished fifth at the Nike Cross Nationals Southeast Regional. They return five of their top seven after losing Avery Lopez (FSU) and Diego Rojo to graduation.split of just 25 seconds is by far the best regardless of classification. The strength of the Belen program lies in their depth. Coach Ruiz knows that the season is long and that when you factor in the time training in the summer, injuries, and tired bodies, a team can crumble if they aren't strong beyond their number five guy. Look for an experienced roster of seniors Fabian Thomas, Michael Magoulas, Andres Fernandez, Alex Isaacs, and junior Ryan Rodriguez to bring up the young and hungry Wolverines vying for the last two spots in the top seven. If the outdoor track season is an indication of how they team will fare, then just take a look at the numbers. Belen's top five have run under 4:36 for 1600 meters with Ryan Rodriguez's 4:25.76 leading the way. He finished 12th in the event at the state meet. Fabian Thomas and Michael Magoulas have the two fastest times in the 3200. Thomas finished 11th at state with teammate Andres Fernandez two spots ahead in 9th. Seniors Alex Isaac and Omar Rosete were half of the 4x800 meter relay team that won the state championship. Rosete is an athlete that Coach Ruiz believes with some work on his form, can be a contributor in their line up. The Belen boys take a summer training trip every year and this year's takes them to the Tracktown USA, Eugene, Oregon. They will also spend time in Portland, the home of Nike Nationals, a destination they hope to see at season's end. Past trips have included North Carolina and Colorado. It is all a way for the team to train together, make the most of the miles they are logging, and create a supportive unified team bond. At Belen Jesuit, each year is a reloading year. The top five are upperclassen, but they have a middle school army waiting in the wings and waiting for their call to the "big leagues". They are the clear cut favorites in 3A and should take title number eight back to Belen at the end of the year. "Our team goals remain the same. We want to run at all the major Florida meets our schedule permits throughout the season and shoot for the top at those races with great competitive respect for all the hard working teams competing to do the same. 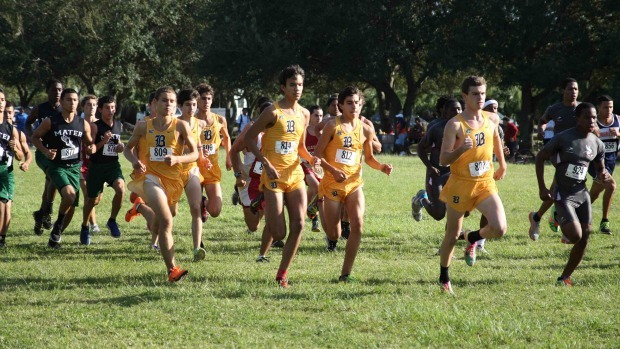 The State Championships still remain as the top priority for the Belen Jesuit program. "